When will be Inside... next episode air date? Is Inside... renewed or cancelled? Where to countdown Inside... air dates? Is Inside... worth watching? Sensational secrets and scandals of the UK's most famous landmarks and buildings. Documentary series about London's iconic buildings. This West London prison has housed serial killers, rock stars and Hollywood actors. But it has also seen the flogging of aristocrats, a Soviet spy who climbed over the wall, and prison officers who terrorised even Britain's hardest criminal Charles Bronson. An investigation into the luxury car and jet engine producer. A look at how a small takeaway chicken shop in Ealing, West London, grew into an empire with more than 400 restaurants in the UK alone. Documentary revealing the history of the iconic London department store. Harrods has long billed itself as a one-stop shop for those with discerning tastes. As well as precious gems and designer clothes, noteworthy one-off sales include the toy bear that inspired Winnie the Pooh, and a real, live lion. 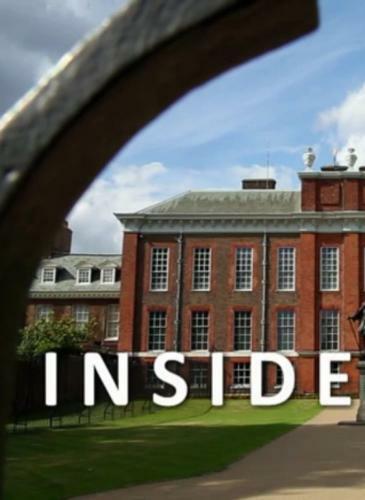 Inside... next episode air date provides TVMaze for you. EpisoDate.com is your TV show guide to Countdown Inside... Episode Air Dates and to stay in touch with Inside... next episode Air Date and your others favorite TV Shows. Add the shows you like to a "Watchlist" and let the site take it from there.